This session takes place at the Zero Waste Christmas Market. Pre-sale tickets have sold out, but you will be able to pay for entry on the door. 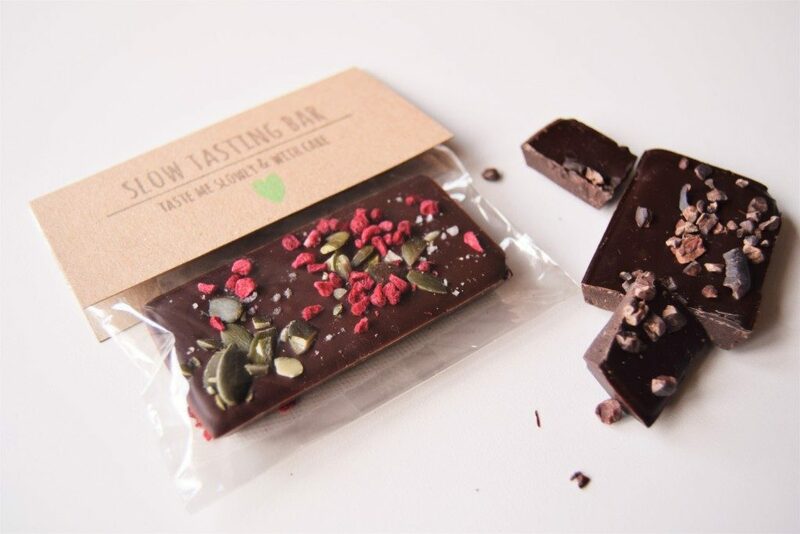 This workshop is a gentle meditation session focussed on soothing your body and helping you feel connected with your senses through dark chocolate. Chocolate is an uplifting ingredient full of aromas and soothing textures, and we’ll explore the many sides of chocolate with curiosity and mindful awareness. It’s so very easy to get swept up in the busyness of life, especially in the festive season, so this session is an opportunity to slow down. – Time for discussion and questions if there’s anything you’d like to know more about. During the workshop I’ll also share ways that you can extend some of the breathing and mindfulness techniques we’ll practice into everyday living. You’ll be most comfortable if you wear loose clothing, but wear whatever feels best for you. Please note if you are suffering from certain diagnosed mental health conditions (including clinical depression, schizophrenia and bipolar disorder) you should always seek support your supporting clinician before taking part in meditation.